Most students can grasp basic number skills like addition and subtraction, but for some reason, place value was a real challenge for my kids. We used a printable and some blocks to help them grasp the concept, but this is so cute! 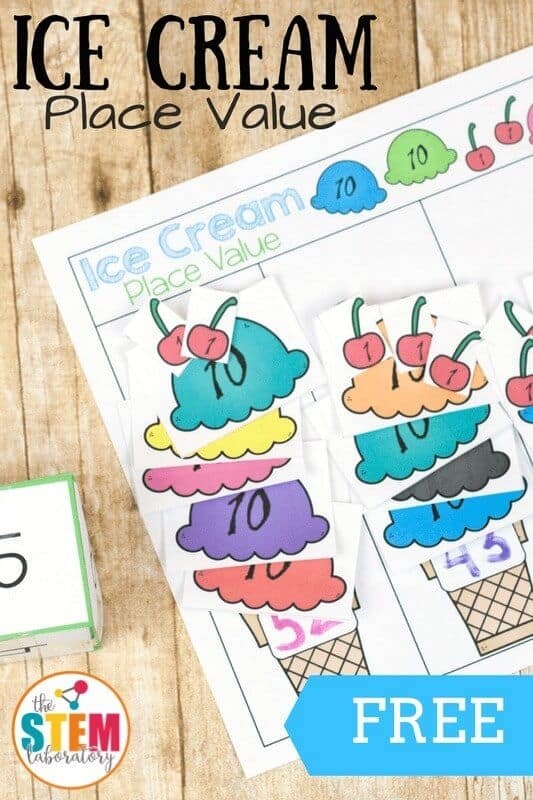 I wish we would have had something as colorful and disarming as this Ice Cream Place Value pack! It’s colorful, and if you laminate it, it will stay picture perfect!